It&apos;s been a good year for Carly Rae Jepsen who released her latest album, E•MO•TION, to critical acclaim and earned a top spot on our Best Albums of 2015 list. Today, Jepsen announced she will be traveling the country for a headlining tour this February and March in support of the album. Her Gimmie Love Tour will kick off Feb. 12 in Raleigh, NC, with additional stops in Los Angeles, Detroit, and NYC before finishing at the end of March in Huntington, NY. 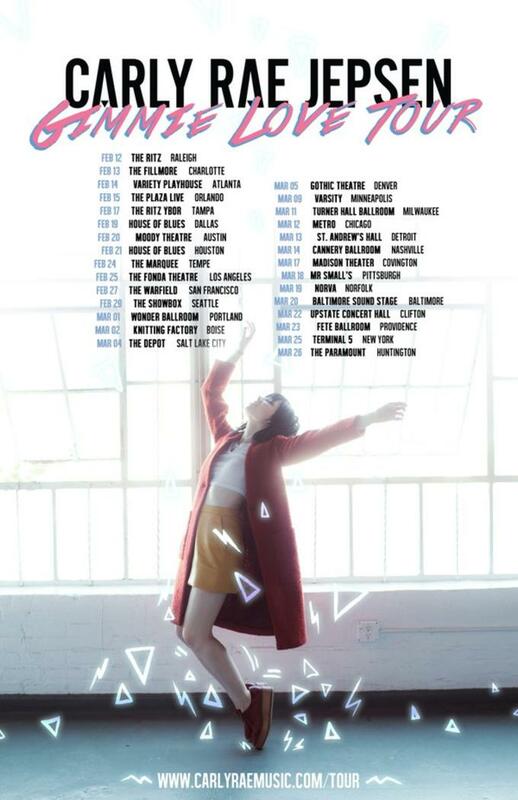 Grab tickets for the tour when they go on sale Dec. 11 on Carly&apos;s website. You can check out the full list of dates below and read why E•MO•TION is one of this year&apos;s best albums.